Before being cited as anxiety disorders, the area of mental disorders, characterized by excessive anxiety were known as anxiety neurosis. Anxiety, in general, can be viewed as a feeling of worry that something bad is going to happen. Some of the common anxiety disorders include generalized anxiety disorder, obsessive-compulsive disorder, phobias, social anxiety disorders and post-traumatic stress disorder.However, The exact causes of anxiety neurosis are still unknown. Through this article, we will delve deeper the area of anxiety and anxiety neurosis in detail. Anxiety neurosis or anxiety disorder is a condition that everyone experiences at times – you may feel anxious or nervous due to the workplace or home related problems, when making a crucial decision, appearing for exams, etc. Anxiety neurosis or anxiety disorder, however, differs from routine anxiety. It is a mental illness characterized by extreme worry and agitation, that is constant, occurring without an obvious cause, and affects your daily life. Research findings suggest that anxiety neurosis may be caused by chronic and severe stress that can alter the balance of chemicals in the brain that controls mood. Anxiety disorders may also run in families and can be passed on from one generation to next. Further, certain environmental factors, like experiencing a traumatic life event may trigger the condition in those who are genetically susceptible to it. Visit your general practitioner if you experience symptoms of anxiety. Your doctor will assess if your anxiety is related to any physical ailment or an underlying disease that can be cured with treatment. However, in case of severe anxiety a psychologist and other mental health specialists will diagnose and provide appropriate treatment. Your doctor will begin by asking you questions about the symptoms being experienced by you, any causes of stress, health problems, current medications and perform a physical examination. There are no specific lab tests to diagnose anxiety neurosis, but there could be tests carried out to rule out anxiety caused by any physical illness. Read about Anxiety, Depression and Insomnia here. Psychotherapy – Conducted in form of counseling, psychotherapy deals with the emotional responses to the disorder. A common mode of psychotherapy is cognitive-behavioral therapy (CBT) in which you change your thought and behavioural pattern that causes the illness. Medication – The drugs that help counter the symptoms of anxiety neurosis are anti-depressants and anxiety-reducing drugs. Discuss the benefits, risks and side effects related to the use of medicines in the treatment of anxiety disorders. 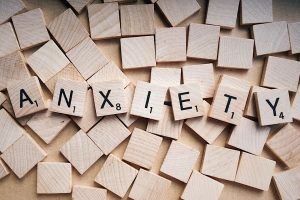 In addition to the above, practising relaxation techniques and incorporating healthy, positive changes in your diet and lifestyle can prove beneficial in dealing with the anxiety neurosis. Diagnosis of anxiety neurosis can be a challenge as it often occurs during other mental illnesses such as substance abuse and depression. It is crucial for your doctor to fully understand your current symptoms, and get a detailed picture of your medical history. Anxiety can easily be managed by talking to an expert. So, don’t hold back, get in touch with a Psychologist near you. Discuss in detail the causes and treatment plan with your healthcare provider and make sure you follow the treatment outlined for you. Stay consistent with your medication and doctor appointments, take support from family or join a support group to share your experience and meet other people dealing with the similar condition. Find out: 10 Lifestyle Changes to Stop Snoring in this article. Though medications and counseling are formal treatment methods to control anxiety neurosis or anxiety disorders, some lifestyle changes can also make a difference. Avoid alcohol and coffee, and quit smoking as these worsen anxiety. Make conscious efforts to steer away from thoughts and situations that make you anxious – socialising and participating in hobbies and activities can help regroup your mind. Relaxation techniques like yoga and meditation can alleviate anxious feelings. You may not have any control over preventing anxiety disorders, but you can make healthy choices in form of diet, exercise, relaxation techniques and support for past trauma.